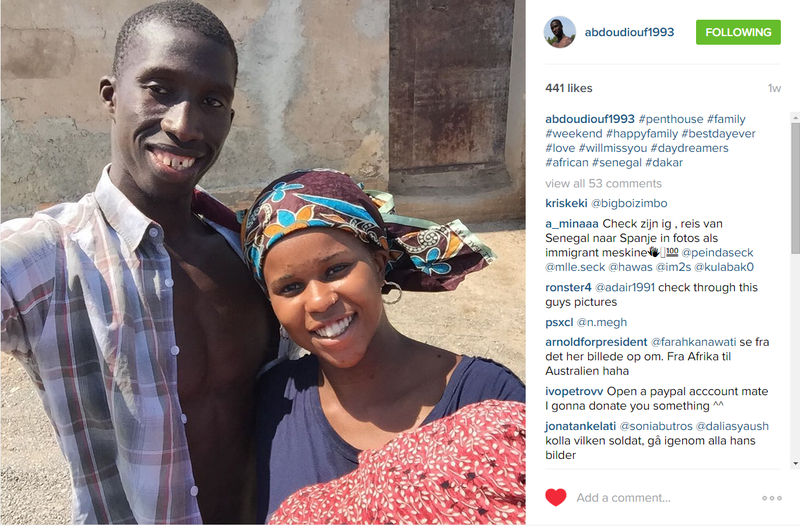 An Instagram account purportedly documenting a migrant’s journey from Dakar, Senegal, to Spain began trending on Sunday after the Huffington Post shared a story about it. The Huffington Post’s story on the Instagram account, which treats it as legitimate. The Huffington Post UK contacted Abdou, who said he was in the town of Tarifa in Spain. . 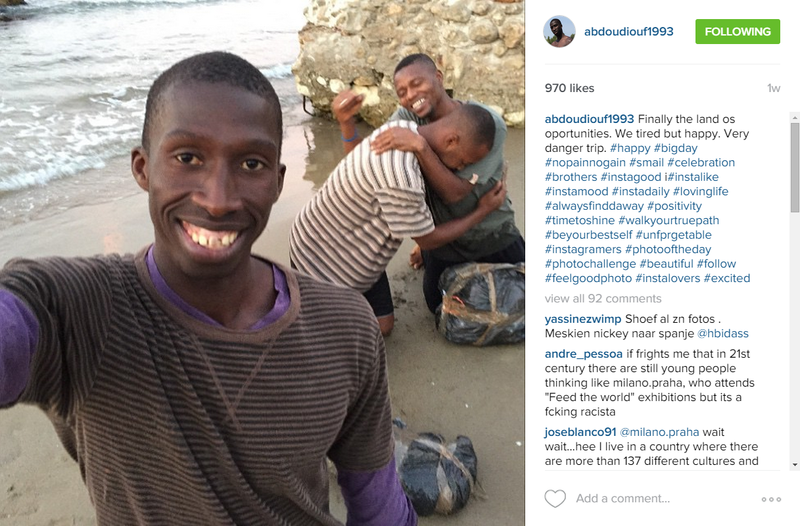 The story, “Migrant Instagrams His Perilous Journey By Truck And Rowing Boat To Reach Spain From North Africa,” gives a synopsis of the photos, posted by an Abdou Diouf, showing a smiling man as he appeared to make his way from his home in Senegal to Nouadhibou, a city in neighboring Mauritania, and then to Morocco and across the Mediterranean to Spain. First photo shared by Abdou Diouf on July 21, which is described as showing him with family in Dakar before his journey. The Huffington Post was not alone in treating Diouf’s story as legitimate. After the article was posted Sunday evening, the account was hit by a barrage of activity and followers. 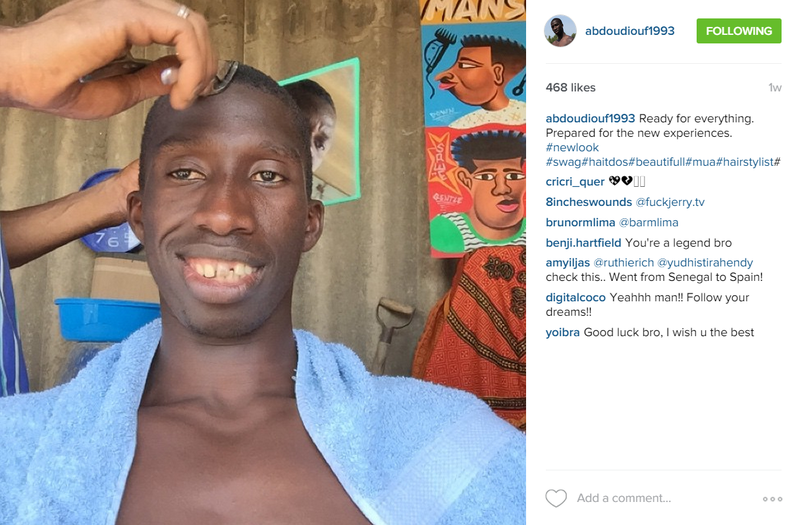 A number of Instagram users began commenting on Diouf’s photos, sharing messages that were both congratulatory and xenophobic. The Abdou Diouf account, which was in fact created by a Spanish production company, is emblematic of the hazards that come with taking what we see on social media at face value. A photo shared by Abdou Diouf showing him having arrived safely on land in Spain. The person described as Abdou Diouf of Dakar did not appear to have any social media presence outside of his Instagram account, which began sharing photos on July 21. Storyful searched the email address that was used in his correspondence — it turned up nothing in reverse searches. 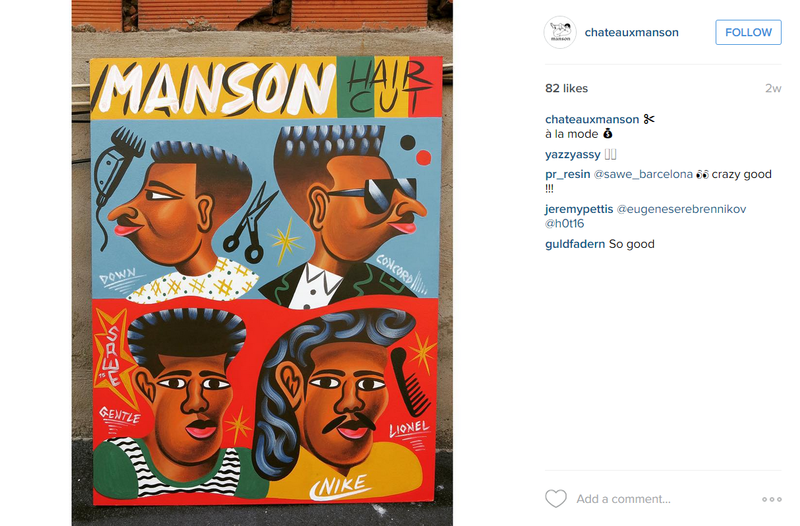 A photograph from the production company’s Instagram shows a poster featuring its name; it also appears in one of Diouf’s photographs. Production company Manson shared this image of a poster on July 15. 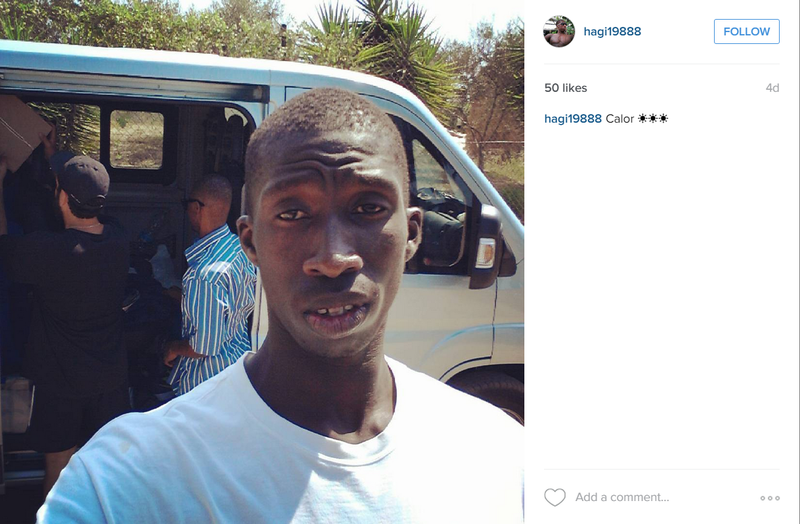 Through further investigation of the Instagram account, Storyful unearthed the profile of a handball player named Hagi Toure, who appears to be the same man pictured in the Abdou Diouf account. According to his Facebook profile, Toure lives in Pineda, in Catalonia, Spain. Photo shared by Instagram account hagi19888 on July 30. The creative agency and production company Volga presents this years press campaign for the GETXOPHOTO photography exhibition. The piece is also a comment on how the use and importance of photography has changed radically in the last few years, with the image of travel inexorably linked to it’s ‘reality’. In this way photography is key to the social construct of ‘travel’ in a globalized society. If this is true for industrial tourism — the endless search and sharing of 21st century takes on pastoral ideals — it applies equally to the increasing numbers of those who’s journeys are the result of necessity. Migrants and refugees, displaced by dictatorial regimes, the horrors of war and environmental and economic disasters. The festival, now in it’s eighth edition has chosen this years participants for the quality and integrity of their work. Examples include Paul Fusco, a Magnum photographer who will show ‘Funeral Train’, a work which takes as its focus the train that transported the corpse of President Kennedy from New York to Washington. Also showing work will be Spanish photographers including Reinaldo Louerio, who working from images from the archive of the national police force posits a reflection on the role of immigrants in Spanish society. All of this years participants are linked by the aesthetic, political and ethical content of their work. The main takeaway for journalists is clear — it’s critical to treat all social content with a heavy dose of skepticism. When we are all searching and scanning for that one person who presents a narrative perfectly, particularly around current topics like migration into Europe, there is a readiness to believe that a story is true. Tomás Peña, the director of the project, said in an email to Storyful that they knew people could believe Diouf’s story. “We wanted to make people think,” Peña said. Joana Sendra of GETXOPHOTO said in an email to Storyful that the goal of the project was to play with Western attitudes. “It was a way of denouncing Western frivolity, in which we have to take selfies at all times and it seems that an event has not been experienced if you have not shared it,” Sendra wrote. Some 137,000 migrants arrived in Greece, Italy, Malta and Spain between January and June of this year, according to data collected by the UN refugee agency. Nearly 2,000 more died in the attempt to reach Europe. By harnessing the language of Instagram — selfies and hashtags — Manson tapped into a collective desire to see the migrant’s perspective, to see the individual behind the statistics. But the fact remains that very few of those 137,000-plus people have been able to share their experiences in this way. The challenge for journalists, then, is to find a way to tell those stories humanely, genuinely and accurately. Storyful is a social insights & content company that analyzes social data to find what’s real, what’s relevant & what’s valuable for our media & brand partners. Non-profit tackling misinformation globally. Check out our website: firstdraftnews.org.